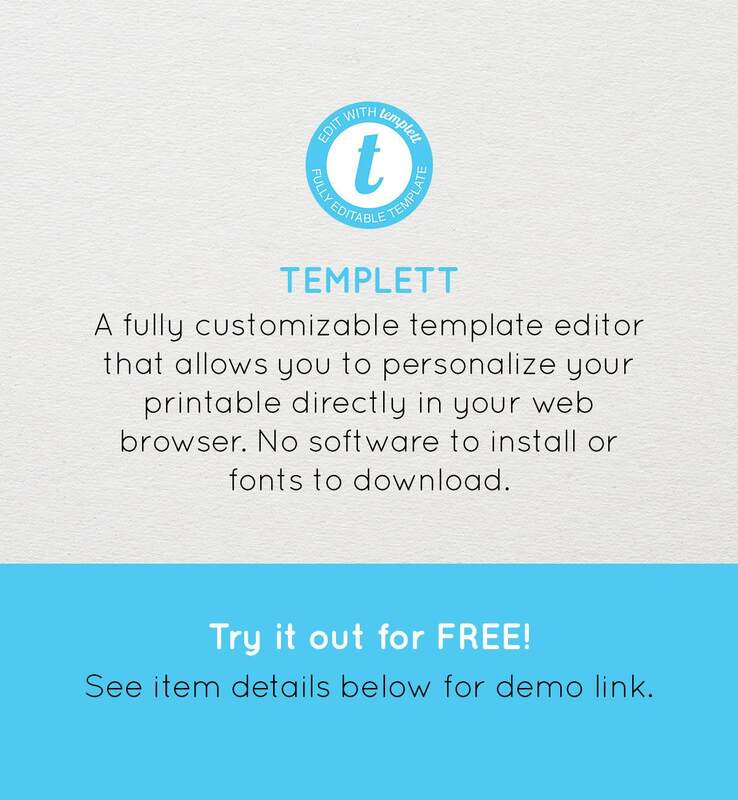 "Quick, easy, simple, and customizable! I love how our wedding invitations turned out!!!" "We edited the template and had it printed at staples. It turned out great. We received so many compliments from our guests. I would highly recommend!" "Great product!! Turned out beautiful!! Easy to do, and results are great!!" Easy to use. As described. Able to customize. Thank you! 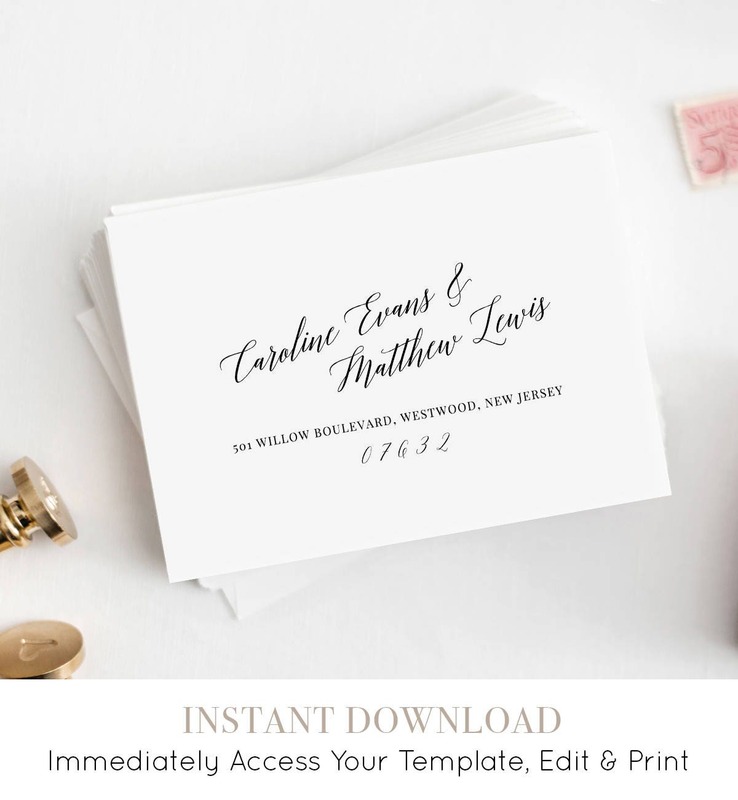 So thrilled that my invites turned out beautiful after using this template. Thank you. I was very pleased with the wedding address template. 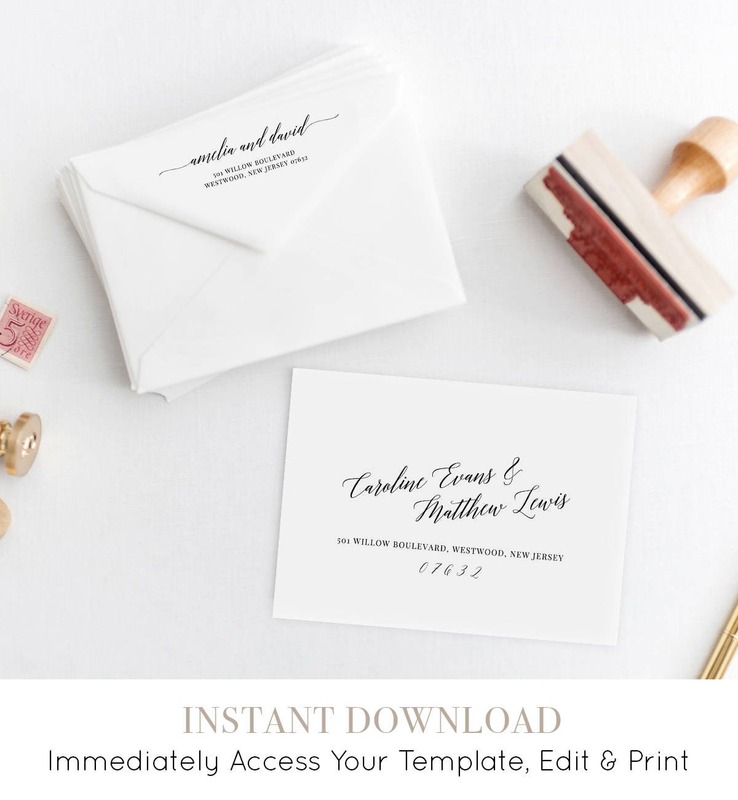 It was easy to use (online--no downloading) and once I figured out how to print in on my envelopes (which did take some trial and error) the results were beautiful! Highly recommend! Lovely calligraphy writing for the less than artistic writer! Was easy enough to print on home printer. Product is very easy to use! 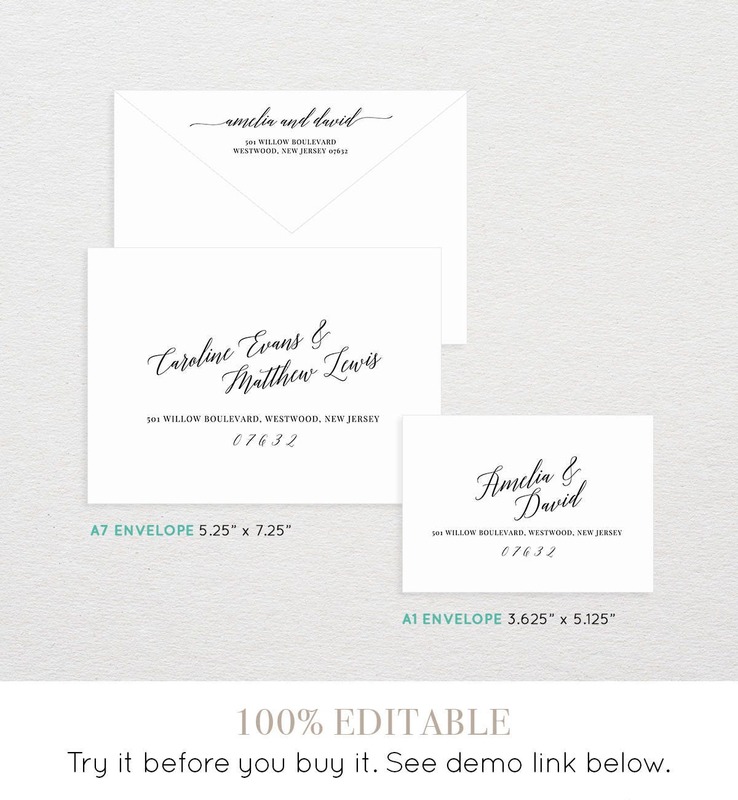 There are numerous different fonts that can be chosen, and options for two size envelopes. Can't wait to see my finished product!